If you are visiting this page for the first time you should have a referral code to hand. This code can be used to raise money for your child's school, nursery, playgroup or registered childminder. In addition you will receive a free gift with all orders over £15.00. 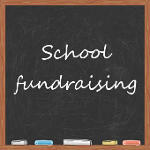 Toyjeanius can help you raise money for your school, nursery or playgroup. We pay up to 10% of all sales to registered organisations when a referral code is used during checkout. Look out for new blog posts from individual members of the Toyjeanius family so you can get to know us all better!